“How many candidates appeared for GATE 2018 ? 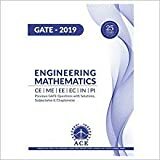 How many candidates appeared in Mechanical Engineering paper of GATE 2018 ? 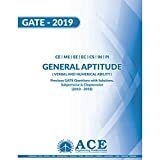 GATE one of the most competitive exams for engineering graduates. Every year lakhs of candidates attending this exam and counting of number of candidates attending this exam is increasing year by year. There are many reason why many candidates are attracting towards this exam. Many candidates wants to extend their area of knowledge in some specific fields by getting admission into higher educational courses in top colleges of India and also many candidates attract towards this exam because of PSUs job offers based on performance in GATE exam. Every year almost 10 lakhs candidates enroll for this exam. Remember this is total count of appearing candidates during a particular year. In some branches of engineering and science candidates appears in large number while in some others less comparatively. As expected Mechanical engineering, Electronics & Communication Engineering, Computer Science & Information Technology, Electrical Engineering & Civil Engineering candidates are large in number in GATE 2018. Here in the below table we are providing branch wise number of candidates appeared in GATE 2018 in each stream.